Hello out there. Hopefully this explains why I’ve been absent for so long. It took two home tests and a trip to the doctor to convince us, but on January 15th, Dustin and I got the happy news that we were expecting. We were both excited, yet fully terrified. A human being was going to be here in nine months. How do we prepare for something that huge, yet tiny? Well, before I could start my usual type-A planning, morning sickness, along with a few other first trimester symptoms, knocked me off my feet and onto the sofa. I decided to pick up knitting since it required very little movement and I could do it from the comfort of my lovely couch. The last few months have been full of so many changes. Engagement, marriage, the loss of Dustin’s dad, and last week…hearing a new little heart beat for the first time. Every month seems to bring a new surprise and we’re trying to take it all in. As for now, I knit. Thank you to Nina (a local Chicago knitting shop) for helping me learn to knit. 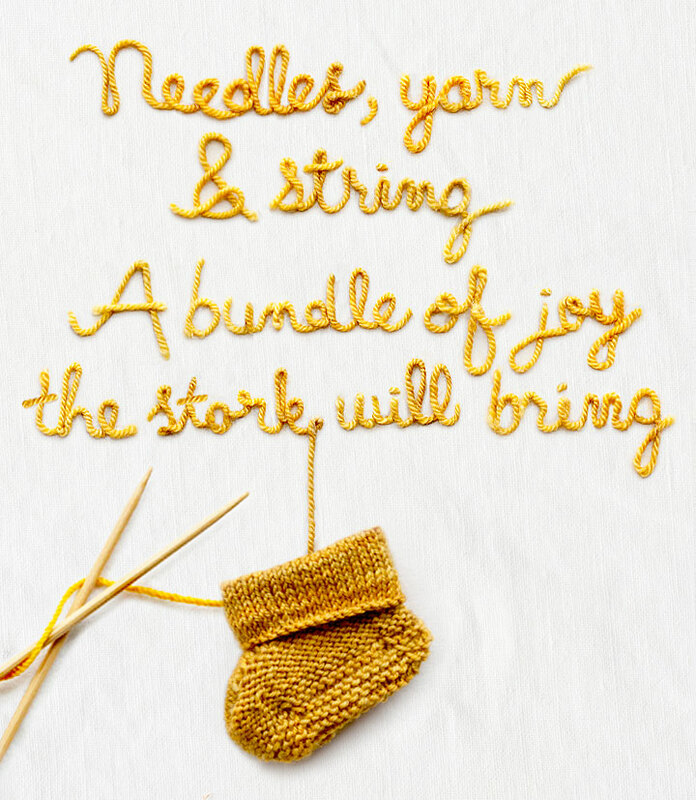 § 14 Responses to Sitting & Knitting"
That is so exciting — congratulations!! Amazing news! Congrats! Woo hoo. Can’t wait to be part of the experience! Thank you. It’s good that I’m surrounded by so many women who can give me pointers. Can’t wait!!! So happy for you (OK, and for us:)! You’re going to be fabulous parents! We will definitely try our best. Lots of pressure to raise another human being, but we are looking forward to it. Wonderful news!! Congratulations to the both of you. Congrats! We are so happy for you guys! Thank you! I’m so happy to be able to tell everyone.Today we got a sonogram and all we could say was wow. Happy nesting and sitting and knitting. All the best for health and happiness during this time! Thank you Amy. I’m still working on the health part. I’ve heard that week 14 is a magical number. fingers crossed.